MBRs are later entrants as advanced technology in biological treatment of waste-waters, and still evolving. ADVENT has been a pioneer in using MBR for recycling applications in synthetic organic chemical industry, a field where even the global majors have very few installations, or none. 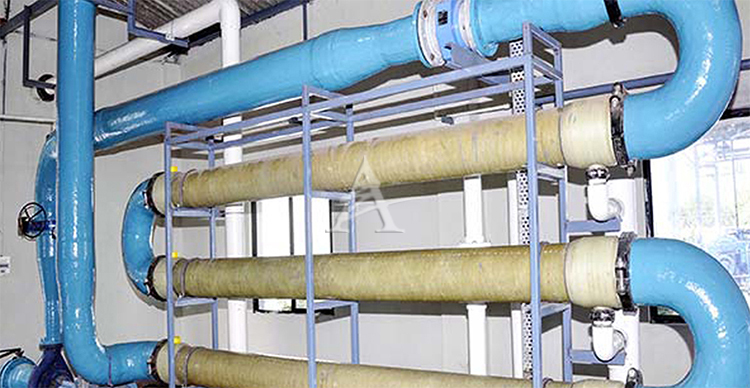 ADVENT can select, suggest and provide the most suitable of a variety of MBR configurations, depending upon the process requirements from the myriad options of tubular cross flow, tubular air-lift, tubular hybrid, submerged hollow-fibre, submerged flat sheet, submerged hybrid, and so forth. Deep understanding of the application vis-à-vis the MBR technology can help ADVENT’s customer get optimized and reliable solutions whenever there is a need of high quality treated effluent. ADVENT has successfully completed MBR projects upto 1500 m3/d.